We have pure essential oils perfect for aromatherapy and massage therapy. 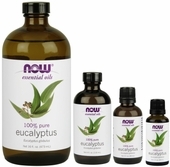 We carry single notes and blends of essential oils in several different sizes. If you are using essential oils for your oils, lotions, cremes, scrubs, diffusers, or some other way during a body treatment, or just want a completely pure essential oil for at home in your bath, we have the perfect one for you. Our essential oil bottles are glass bottles in either cobalt blue or amber. These glass bottles are available for storage of pure or mixed oils. Wanting to mix your own essential oils for aromatherapy? Want to add that extra punch to your massage therapy treatment? Our aromatherapy books and essential oil books will get you inspired and steer you in the right direction. Click on any choice below for more details.